Living in London is fabulous. Not only is there a pulse coursing through the city that seems to reverberate through your bones and blood vessels until you’re buzzing with excitement, but there’s so much time to do pretty much anything you can think of. From walking the pavements with friends popping in and out of boutiques or dining in some of the world’s most unique and exquisite restaurants, there is seemingly no end to what you can do in the city. But when your children come along, it’s often the right time to consider relocating to somewhere a little further from the capital. The motives for such a move can range, but often include the need for bigger, affordable property with a big garden for the kids to play in and a sense of community. Recent times have seen a mass exodus of families with young children from London to the areas around the city where a better quality of life awaits. Since we understand how daunting a move from the capital can be, we’ve put together a list of things you ought to consider when toying with the idea of making a move towards country living. If you work in London, you’ll likely know that travelling to the city from the outer regions can be quite easy. Connections to London are improving every year, with Crossrail opening up in many areas on the M4 corridor. Overland train lines are also becoming a more popular alternative to crowded underground public transport, affording young Brits the chance to live somewhere where they can actually afford to buy property, without having to sacrifice their job or career. While finding the perfect property is an undertaking in itself, the odds of finding affordable, spacious real estate outside of London are much better. Take your time when trying to decide where to move to, so that you can be certain that the house you choose, or the village it’s in, is the right one for you and your family. While you might feel like you’re jumping into the unknown, finding a property with sprawling lawns, and enough room for your three kids, can certainly help to alleviate any uncertainty you might have that you’re doing the right thing. Since you’re trying to make the move out of London for the enrichment of your children’s livelihood, it’s important that you consider nearby schools and other amenities. You can use online maps to establish how far from the town/station your potential new home is, and whether it’s within areas you’d like to live and within walking distance from the school you’d like your kids to attend. While there are certainly a variety of things that will run through your mind when moving your family out of London, many parents who have done so would recommend it. 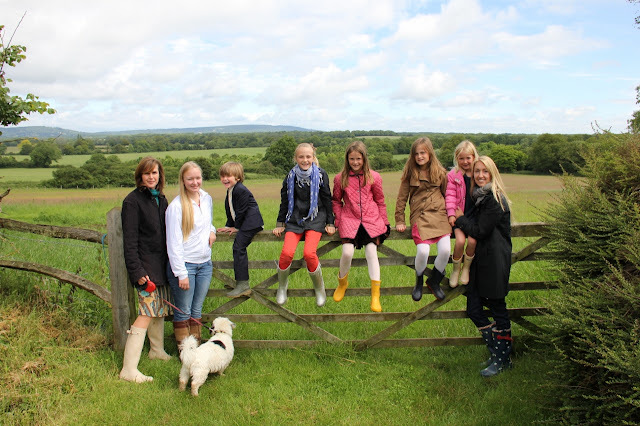 In light of the surging property prices in the capital, one can hardly pass up the promise of a bigger property and a better quality of life for yourself and your kids outside of London.